I always knew that being a parent was going to mean putting my children’s needs before my own. But no one ever tells you just how many of your ‘wants’ you’re also going to have to sacrifice in place of theirs. We just came back from our first family trip to the snow – and I don’t ski. My husband has only snowboarded twice himself, the only reason we went was for the kids. The two eldest have been desperate to see snow ever since they first watched a cartoon or read a book about Christmas in the Northern Hemisphere. They wanted to see this magical white stuff that doesn’t appear anywhere near where we live in Sydney, and I don’t blame them. What you don’t have is exciting, right? Intense preparation – The amount of borrowing, packing and organisation was so insane it required military operation precision. A LOT of money – We could have all flown to Bali for a week for the same amount we spent in a weekend – seriously. 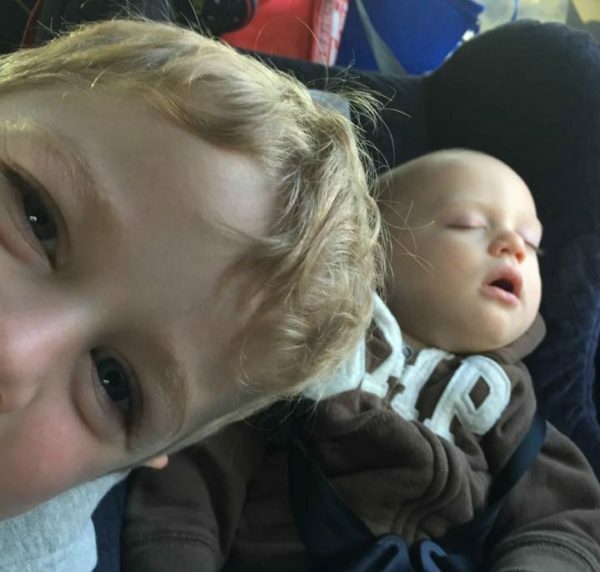 Parenting struggles – All of the children were a nightmare in the car but mostly the baby, who pretty much yelled all the way there and back. We quickly discovered that putting all their snow gear on and carrying their skis every time we hit the slopes was a real pain in the arse. In light of the aforementioned pain and expense, was the trip worth it you ask? Without a doubt – yes. The children all had the BEST time. Even if they hadn’t (and that’s the risk all parents take), I’m sure we still would have felt satisfied with the trip, at the very least they would have been able to hold on to those memories of seeing snow – even if it was just that one time. If it was up to us, the kids would only ever get to visit tropical holiday destinations, but we’re glad we put their desires ahead of our own and fulfilled one of their biggest wishes. The type of holiday you have isn’t the only sacrifice you make as a parent – for starters many can’t actually afford a holiday, a house or costly family outings because having kids is bloody expensive. We also sacrifice our sleep (I haven’t slept a whole night through for years), exercise (who has time?!) and careers (particularly for women). Being a mum of boys, I have also attended countless little rugby games and soccer training, yet am probably the least sporty person I know. I don’t know any of the rules – I’m completely out of my comfort zone, but I give up my time and do it to encourage my boys to get out there and give it a go. How many times have we all sat through a movie a zillion times because it’s their favourite (it’s Cars 2 in our house but I’m sure for many it’s Frozen)? Or made countless craft creations when we’re feeling under the weather? It’s just what we do. The point is, as parents we do endless things that our children want to do even if WE don’t (within reason of course). We do it because it’s the right thing to do and let’s face it, how many times are they also dragged to the shops or made to do other things that THEY don’t want to do? Seeing their little faces light up (whether it’s making snow angels, building snowmen and hitting the slopes for the first time ever – or even something simple like playing trains again for the tenth time that day), makes all the personal sacrifices or pain worth it. Wouldn’t you agree? What sacrifices have you made for your kids? What things do you do for them (even though you don’t want to)?